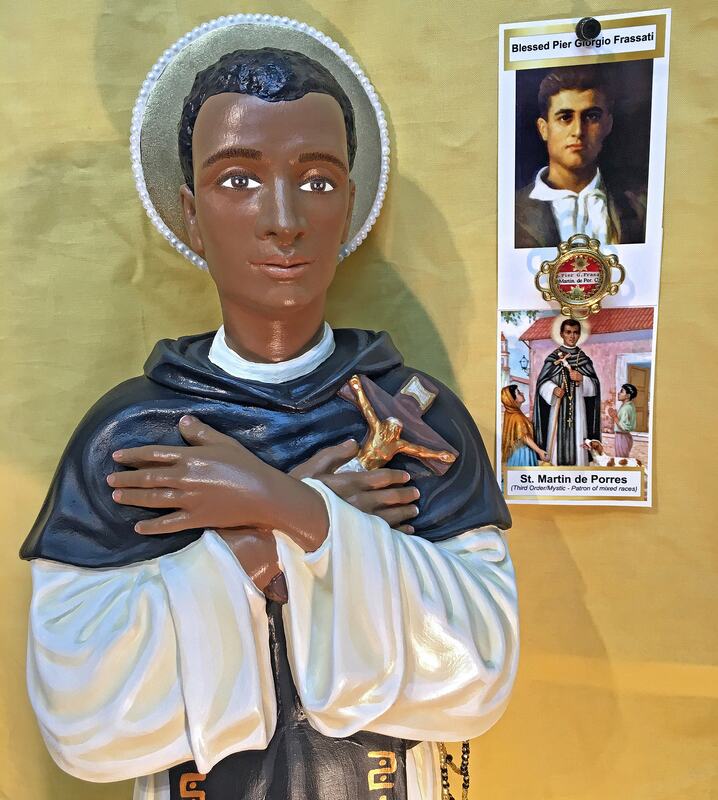 - Dominican Third Order Lay Brother. - Patron of pharmacists, barbers and animals. - Feast Day: November 3rd. 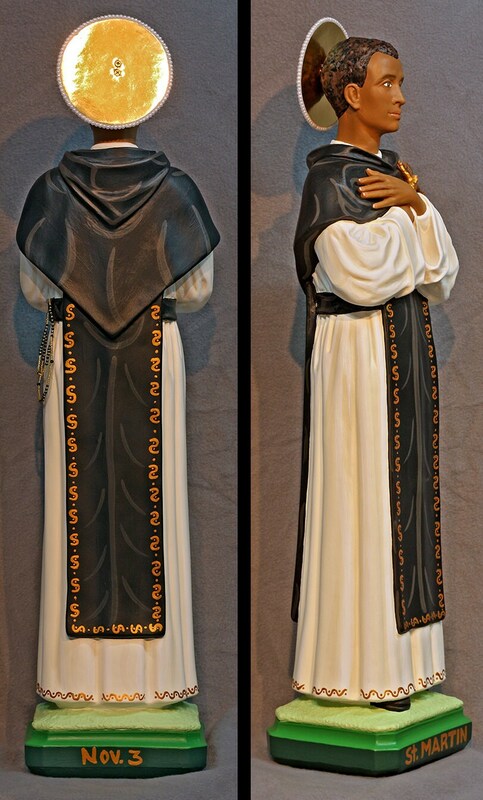 This handsome statue features a peaceful hand painted face and details such as fingernails and eyelashes, hand-made tiny rosary, true Dominican tertiary coloring, dark skin and golden halo. St. Martin clutches a crucifix in his hand, folded in the crossed-arm posture of humility across his chest. 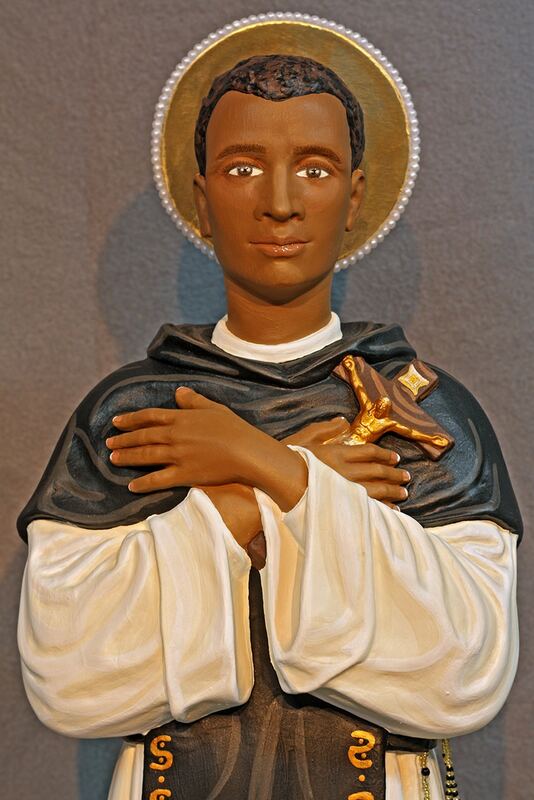 Your finished statue will be touched to a 1st class relic of St. Martin de Porres.